Jobs Description: Higher Education Commission Jobs December 2018 are listed below in our site. Applications are invited from all over Pakistan for HEC Jobs December 2018. 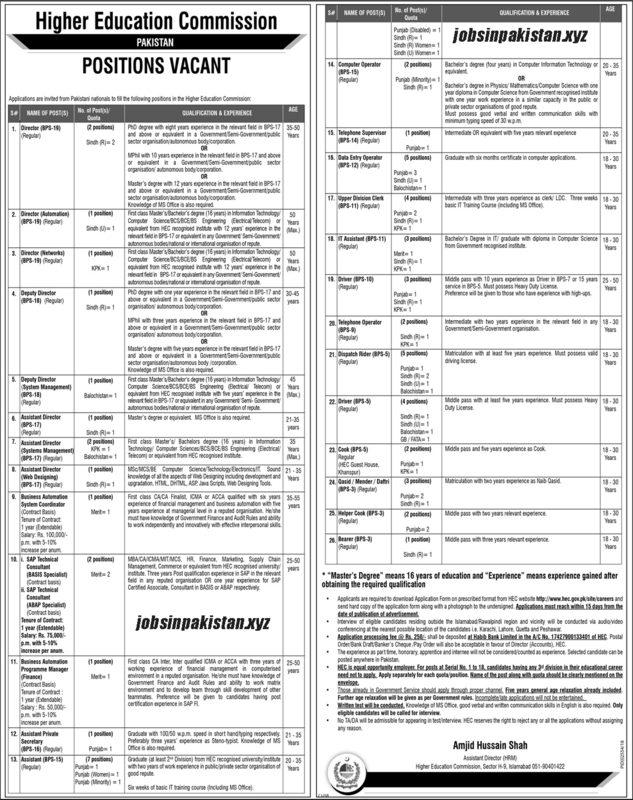 Higher Education Commission of Pakistan has required the applications for following jobs. How To Apply: Application forms are available on HEC official website. The interested candidates may send or submit their application forms to the Higher Education Commission Islamabad.